With over one billion dollars in listings and sales during his career, Michael Rodgers, has built a profound reputation as a skilled negotiator who represents his clients and their properties with the utmost discretion, integrity and professionalism. The key to his success is his unstoppable drive to exceed his clients' expectations, and his calm and steady approach during even the most emotional of negotiations. Those qualities and others are why many of the world's most renown personalities, business professionals, politicians, and high net worth individuals seek his counsel when buying or selling their Real Estate investments. 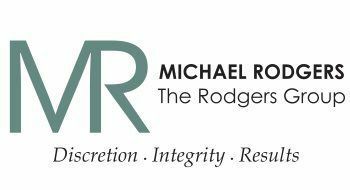 Michael Rodgers has owned or co-owned multiple Real Estate firms throughout the world, and most recently was included in "Who's Who In International Real Estate" as Broker/Owner of Roatan Realty on the lovely Caribbean Island of Roatan, in the Bay Of Honduras. Michael's in-depth knowledge of the Real Estate market, marketing savvy, use of social media, highly effective negotiation skills, and a top tier quality professional network, are all hallmarks of his success. Michael has the insight and expertise that have made him the go-to person for high-net worth homeowners, investors and first time buyers alike. Michael looks forward to providing you with a world class Real Estate experience in the purchase or sale of your Real Estate investments.